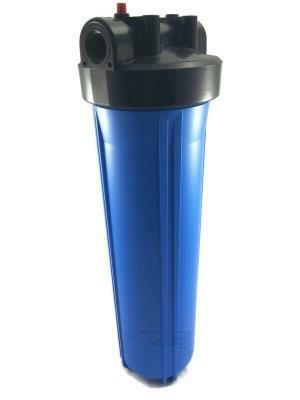 Blue Filter Housing 20″ x 4.5″ with 1.5″ ports & Pressure Release Button. Suitable for “All of House” use Flow: 2700 Ltrs/hr approx (depending on water quality and cartridges used). Suit family of 4 Size: 20″ Housing Suit: Outdoor Applications. System is U/V resistant, which makes it suitable for use outside or in areas affected by sunlight.